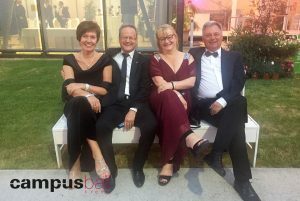 “The Campus Ball Krems has become a festive highlight on the summer event calendars of Lower Austria, Vienna and beyond Austrian borders. It offers the opportunity to bring together science, education and the region in a marvellous ambience. Krems is known as one of Austria’s most attractive cities worth living. To my opinion the campus also is one of the most beautiful areas of the entire country. 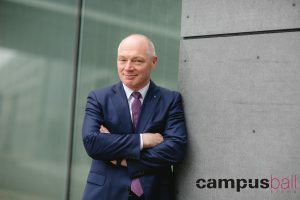 The cooperation between three institutions on campus and the great mix of guests is the special feature. 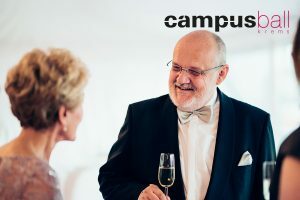 ‚Campus Ball Krems has evolved in its fourth year of existence to an institution far beyond regional borders, and those of science. It offers students, scientists, experts from the realm of economy and politics an excellent networking platform for exchanging knowledge beyond the lecture halls and laboratories. 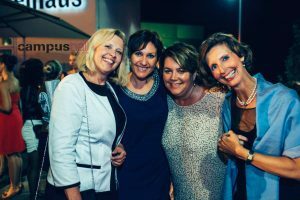 This well organized ball proves the creative spirit which marks Campus Krems. 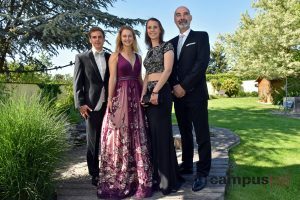 ‚For me the Campus ball Krems is the Lower Austrian version of the Vienna Opera Ball. 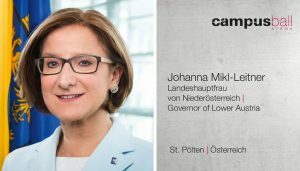 The increase in social acceptance for science and research is an important focus of the Lower Austrian scientific policy. 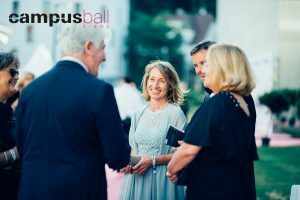 The Campus Ball Krems helps to set an important accent in the scientific calendar of Lower Austria. 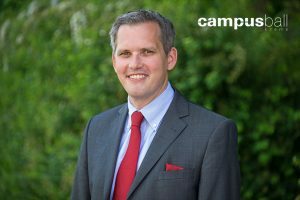 Education enhances future prospects for both: students and lecturers. 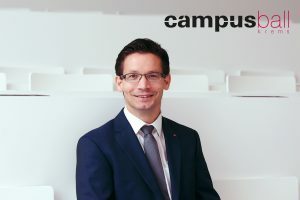 We as NÖVK as well grant forthcoming possibilities at Campus Krems. 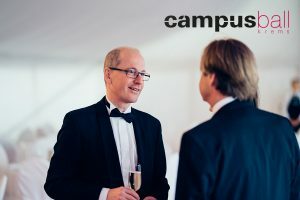 The Campus Ball offers apart from best entertainment an ideal incentive for communication for students as well as representatives of science, politics, economy and culture. 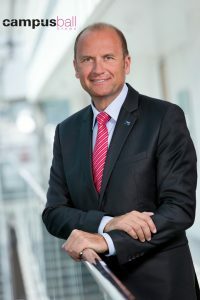 Since its foundation Karl Landsteiner Private University for Health Sciences has been closely working together with NÖ Landeskliniken-Holding. Together we can contribute to the best training of future physicians. 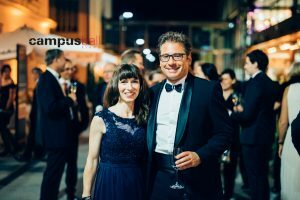 ‘My personal highlight was the third Campus Ball Krems in 2017. 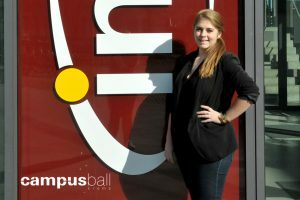 Since its foundation in 2015 Campus Ball Krems has become undeniably a benchmark within the Austrian event scene. Here economy, research and science meet indulgence and hospitality. 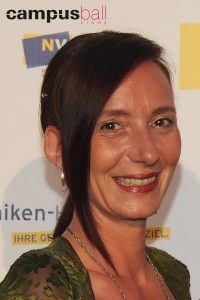 As a result a unique atmosphere arises inspiring to get in contact with the other guest and therefor enhance one’s own network. 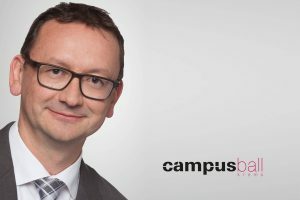 An incentive not only appreciated by the students but also by the entrepreneurs of Lower Austria. The Campus Ball is a fixed date for my wife and me since its commencement. In the historical rooms, which recall the intensive study period, the evening hours become an exceptional experience. This year, we are part of this event and we are looking forward to the great atmosphere and the clubbing area. Within a study year, the Campus Ball is just something special. It is truly unique to host a ball at such a large indoor and outdoor area.